Proudly providing podiatrists with superior custom-made orthotics. We’re confident in our devices because each prescription is checked by our in house podiatrist to ensure you get the result you want. We make it a priority to be available to discuss all your orthotic needs and give recommendations if required. We have a huge range of innovative materials available to produce the best functional and accommodative devices that your patients will love. We love our Automated Orthotic Manufacturing System (AOMS) system! It allows us faster delivery, improved accuracy and the ability to produce identical sets of orthotics at the time of first order or any time in the future. AOMS has produced tens of thousands of orthotic prescriptions for our podiatrists. It allows us to craft the exact device you require by modelling the “corrected” orthotic shape over the 3D negative model of the foot. After your patients prescription, casts or foot scans arrive at the lab, they are thoroughly checked and put into our system for production. 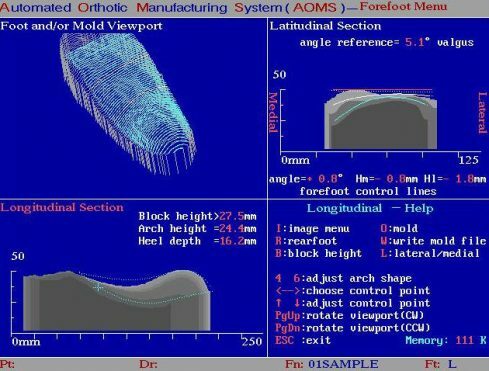 Each pair of orthotics are designed using our AOMS software. 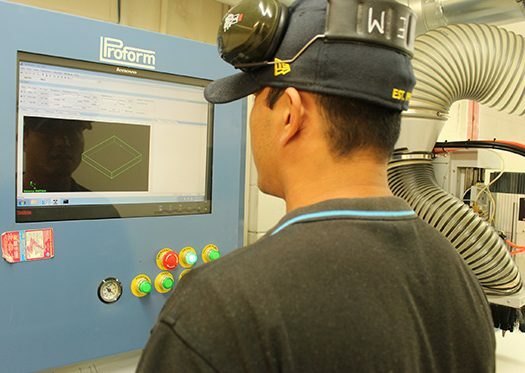 Our CNC Router then makes a corrected positive model which is again checked against your prescription and the casts to ensure accuracy and a great fit. The shell is vacuum formed, ground, posted and polished by our fantastic GO Lab team. Another quality check before proceeding to have pads or additions applied before finally being covered and signed off as complete by the lab technicians. Prior to dispatch, a final QA check is made before your orthotics are sent for overnight delivery. Our turn-around time to do all this is 5 business days from the day we receive your prescription. If something is required more urgently, give us a call to see how we can help.